The 26th of November is National Cake Day and everyone deserves a slice of some delicious cake. However, baking one isn’t always a cake walk! Who would know this better than the super talented people who tried to create something amazing but met odds, or shall we say icing, that really weren’t in their favor. 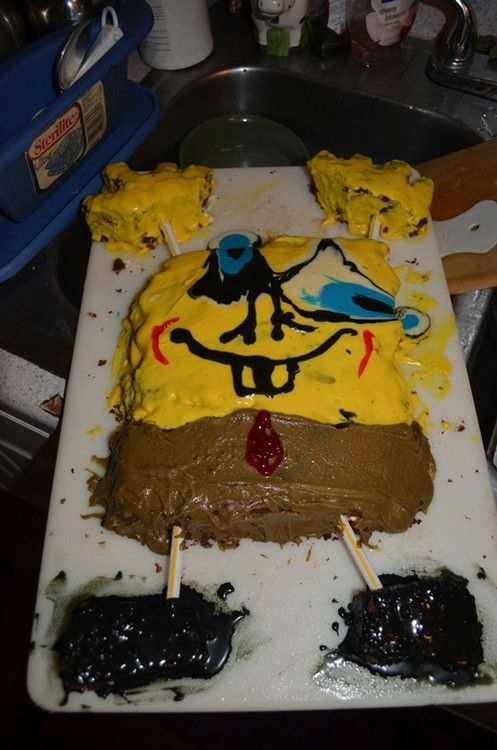 Bright Side found these 15 epic cake fails that are actually too perfectly awful to recreate. 1. This selfie cake could use some photoshopping skills! 2. This might be the only time Jar Jar Binks has managed to look somewhat cute. 4. A dog cake that is as surprised as you are! 6. This sheep cake seems to have already lost its “wool” to live! 7. Perhaps we’ll never look at rainbows the same way again. 8. The puppy cake that magically changed its gender while baking. 9. This dog is certainly not having a happy birthday! 10. We guess Belle is literally frozen in this one. 11. Let’s just pretend that this is a perfectly edible watermelon cake! 13. Or poor Spongebob that is not melting our hearts in a good way! 15. The cat’s expression says it all. Do you have any friends who have such commendable baking skills? Well, it’s time to tag your friends and let them know that they’re not alone!